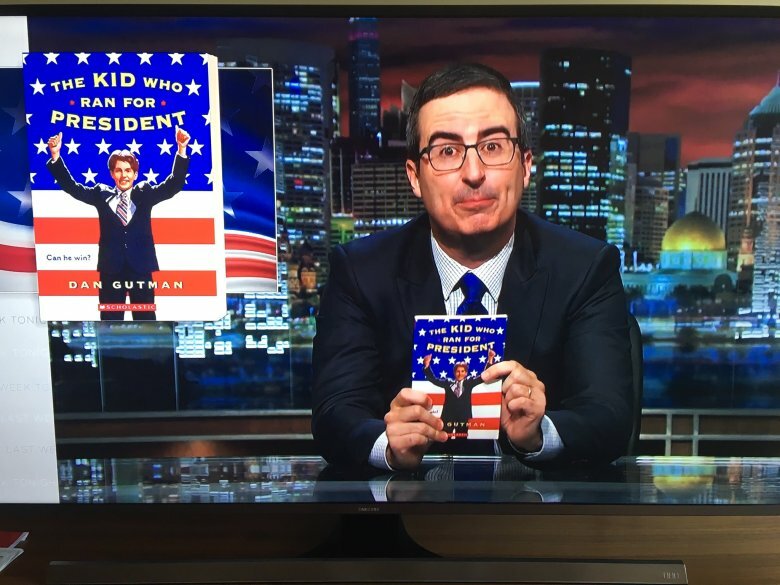 What happens when John Oliver uses your 1996 children's book about a kid running for president to poke fun at the 2016 election? You have a belated bestseller. Dan Gutman wrote "The Kid Who Ran For President" in the 1990s, and has had a steady career in children's books for decades, but when that book cover was prominently featured on screen, people flocked to Amazon to buy it. The slim volume tells the tale of a 12-year-old class clown who runs for President, and the humorous lessons he learns along the way. Oliver used the book to illustrate similarities between a child who has never read the constitution and the verbiage used by Republican candidate Donald Trump, ending the bit with an invitation for the candidate to appear on his show. No matter what happens between Trump and Oliver, the real winner is Gutman. As of August 31, his book ranked #6 in its category on Amazon. "That's the highest any of my books have ever been in my 30-year career," said Gutman in an IndieWire interview. He added that he regularly watches the show, but that the mention came as a complete surprise to him. He surmised that someone on Oliver's staff read the book as a kid, remembered it and came up with the idea for the bit. "The book has probably sold over a million copies in the last 20 years," Gutman said in the interview. "But it's nice to have it get a little publicity now of all times." The full segment is available on YouTube.